you have found peace at last. I wept when I received this stone. My husband passed away with cancer - a painful, heart breaking time. But, the crying was cathartic. I'll always treasure this stone. It says exactly what I want to say. Thank you for selling this product. 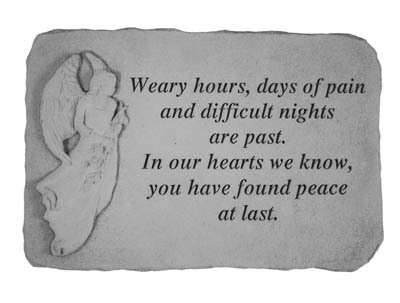 Personalized Memorial Stone - Silently We Grieve..
Personalized Memorial Stone, Upright - Perhaps The Stars In The Sky.. 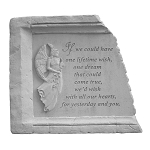 Framed Memorial Stone - If We Could Have One Lifetime..